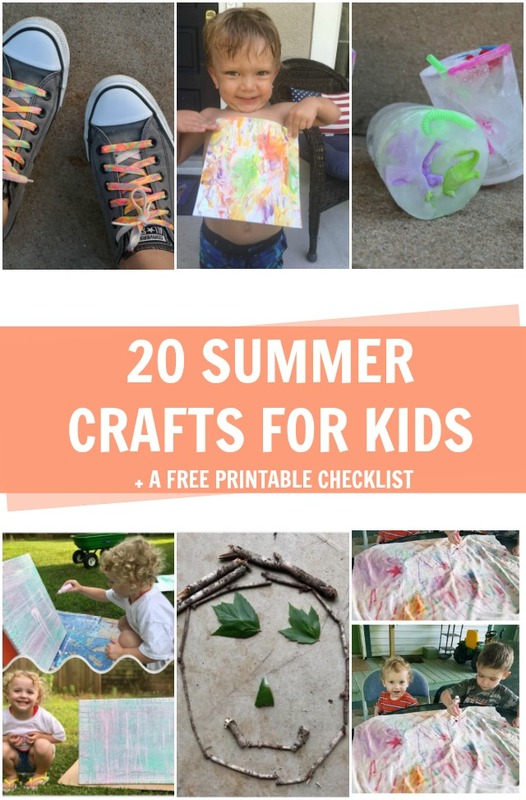 20 Summer Crafts for Kids - C.R.A.F.T. We did #20CraftsIn20Days with our Summer Craft Club! If you’re new here, I sent out 1 email a day for 20 days and we all crafted together! 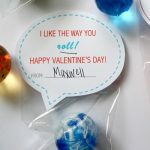 I really enjoyed seeing all of the kids crafts in our 20 Crafts In 20 Days Facebook group. Kids are so creative and it was fun seeing how they made the crafts their own. 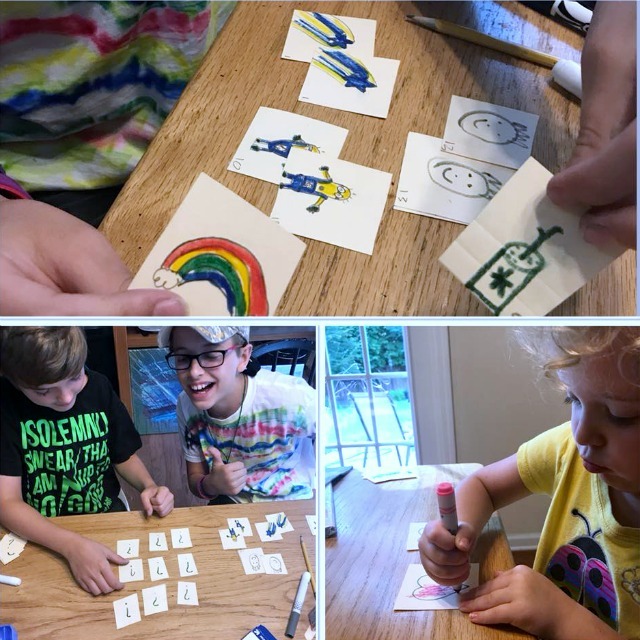 All of images below came from our facebook group and are actual crafts kids made in our Summer Craft Club! 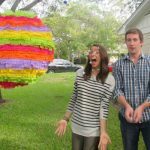 Below you’ll find exactly what crafts we did each week with a link to the tutorial for that craft. If you’d like to join the club and get a materials list and an email each weekday morning for 20 days, skip to the bottom of this post to sign up. It’s free! For Day 1 of #20CraftsIn20Days, we made Sharpie tie dye t-shirts! 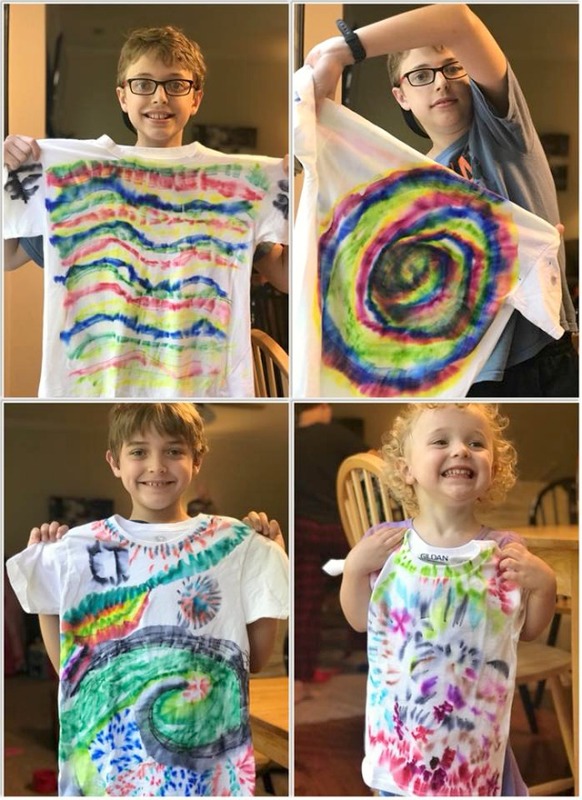 Not only are Sharpie tie dye t-shirts fun for everyone, but they also make great smocks for future messy crafts. Erin’s kiddos made the tie dye beauties you see below. I also loved that you can use this technique on basically anything – shoes, bag, pillow case, or even shoelaces. Nadia didn’t have Sharpie markers on hand, so her boys used regular Crayola markers on white pillow cases and it turned out great! The colors will fade after washing, but the beauty of this craft is that you can do it again and again on the same item! Who knew empty cardboard food boxes were such an amazing craft material? 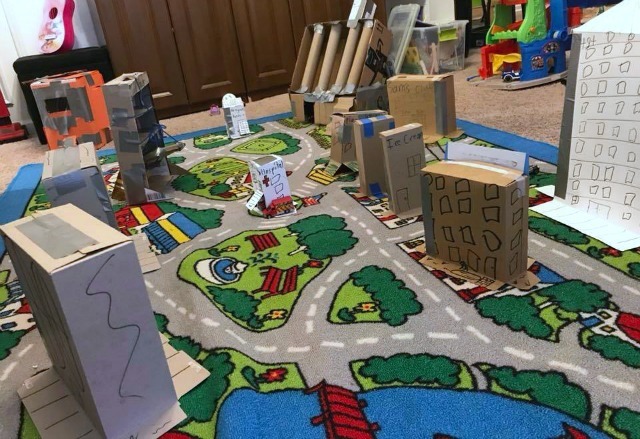 Erin’s kids made an entire city complete with a library, church, parking garage, and a hospital! 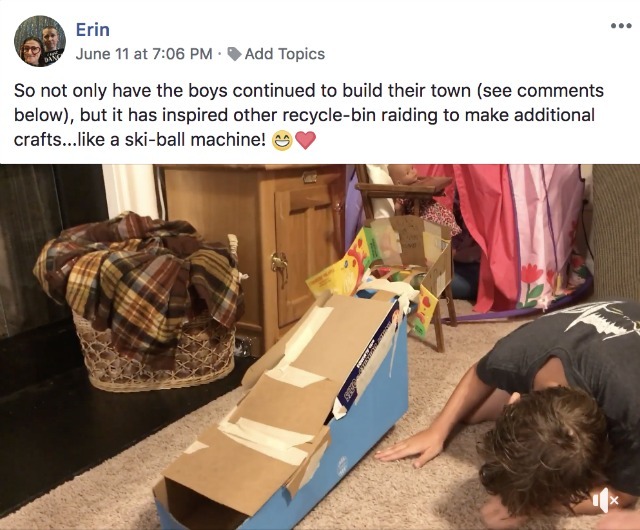 Erin’s kids loved crafting with cardboard boxes so much they made their own ski ball machine! Super impressive! This craft is messy, but totally worth it. 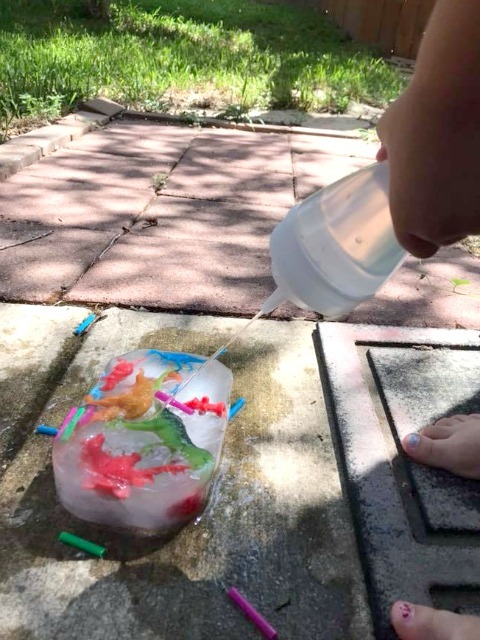 You can use spray bottles or syringes with watered down paint, or heck give water guns a try! Check out this masterpeice made by Erin’s daughter. It’s now hanging on her bedroom wall! This is another craft that is a winner for all ages. 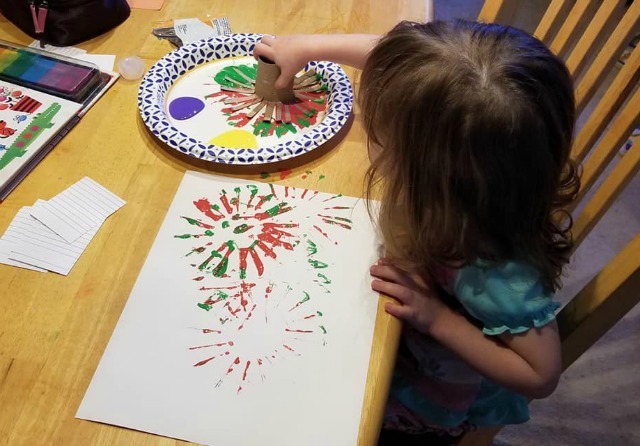 Becca is a part of our #20CraftsIn20Days Facebook group and said the kids and parents loved this craft when she did it as a collaborative art peice at their preschool. This matching game is a two for one! Kids spend time making the game and then play it for hours. For younger kids, I like to draw simple shapes, letters, or designs with a marker and let them color over it. Valerie also had a great idea- use stickers! For older kids, they can draw coordinating pairs of anything. I love what Erin’s boys came up with for their matching game. This craft was invented by my 3 year old son. About 6 months ago, for 3 days straight, Maxwell begged me to paint a green plastic tractor. After exhausting all of my excuses, I gave in and let the kiddo paint his tractor. He painted that tractor all the colors for an hour straight. He set it outside to dry, and then preceded to paint that tractor every afternoon for the next week. 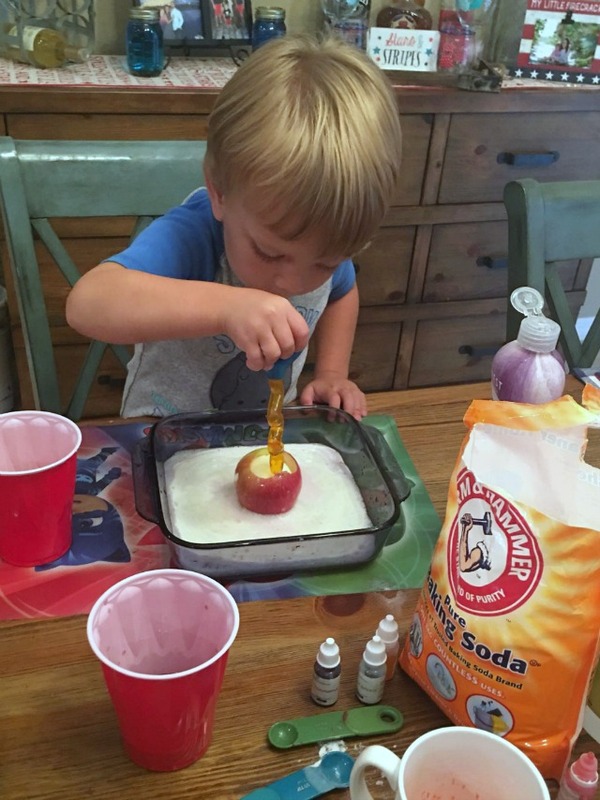 Gather Elmer’s glue, baking soda, contact solution, and food dye and let the slime magic happen! One bottle of glue, makes one batch of slime. 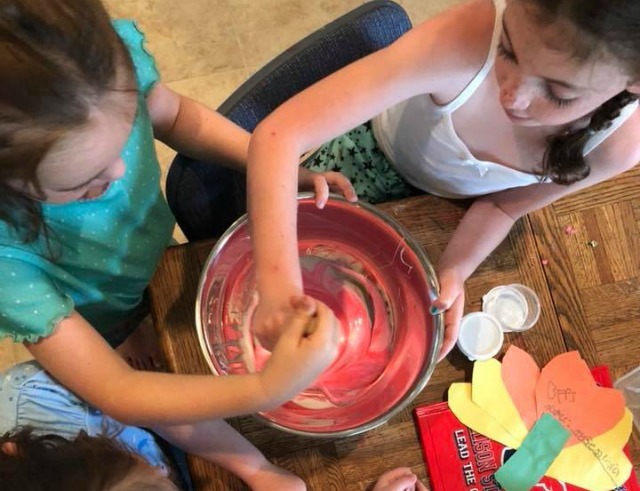 How cute are Kristin’s kiddos whipping up a batch of slime together? 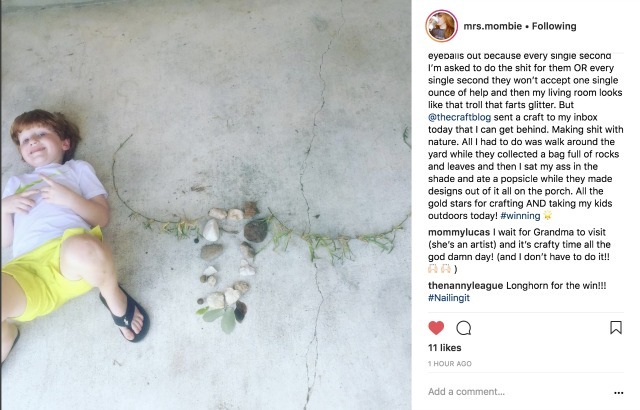 Start your nature art with a walk around the yard to collect twigs, berries, rocks, grass blades, leaves, flowers, anything really. Next, make deisgns! Or letters, words, numbers, shapes, mandalas, or even creatures out of the nature collected. We typically make our creations on the cement patio, but you could easily glue them to paper too. This craft is one of my favorites! 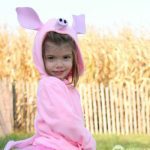 All kids love the process, it’s easy, and the results are gorgeous! Plus, you can turn the marbled masterpieces into things like this amazing banner made by Deonna! The Day 9 craft involves Day 8’s craft… and writing! That’s right, this craft club is getting educational on you. 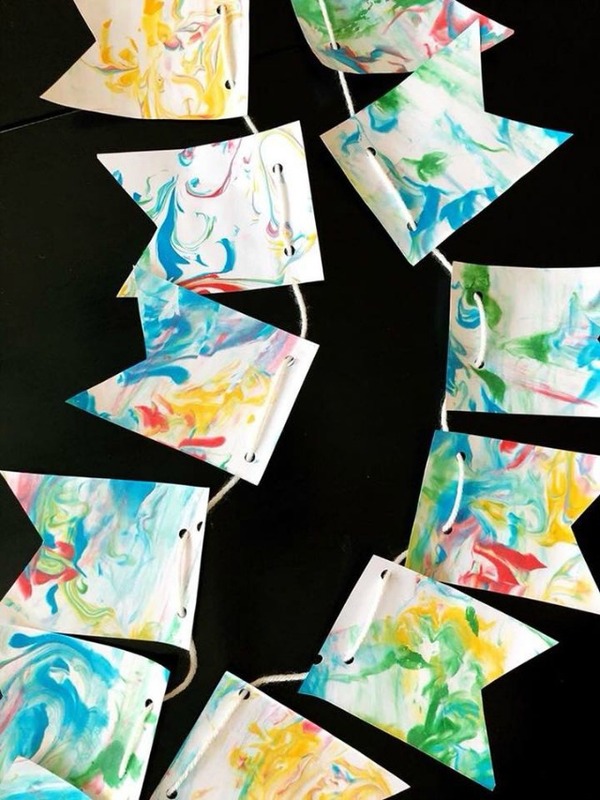 Use the shaving cream prints to make a card and any page from a magazine to fold an envelope. Add a stamp and send it in the mail! At the end of week 2, we took a day to set up a creative station. 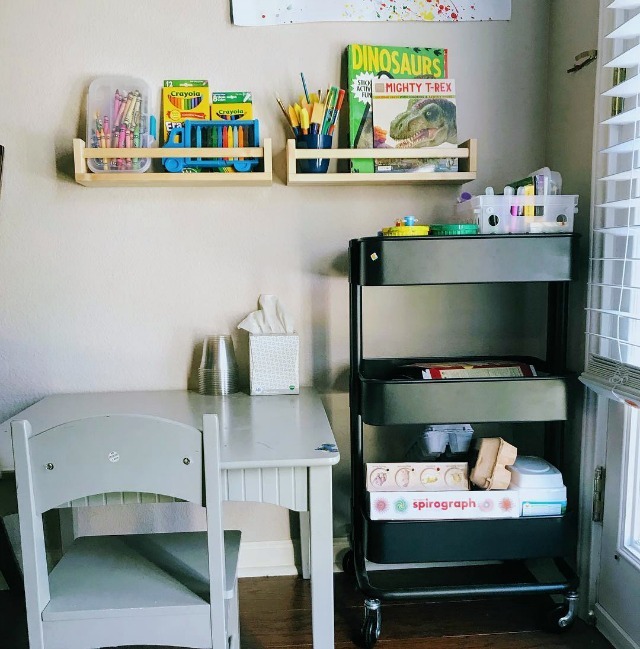 A creative station consists of 2 things: a table (or an easel) and craft supplies. Adriana’s secret weapon is ready to go! We started off week 3 with toilet paper tube creatures. I have a giant list of 26 tp tube creatures, one animal for each letter of the alphabet. 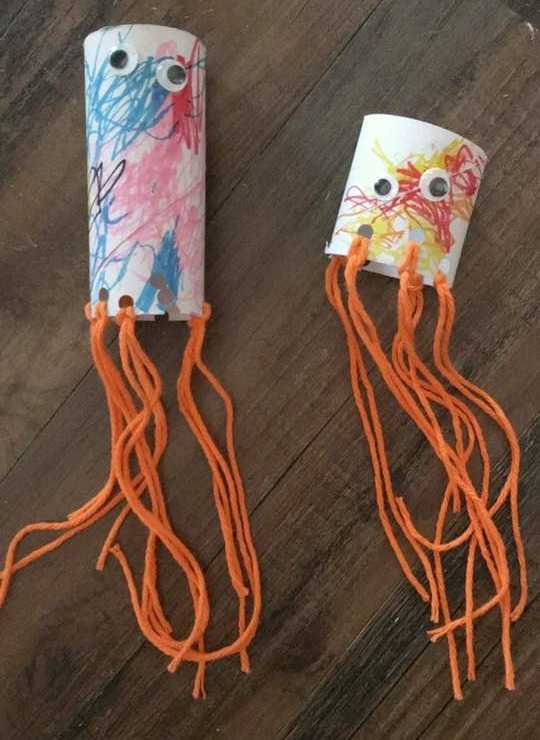 I love how Tori’s kids gave their jellyfish colorful! I love how Dawn got creative with the toilet paper tubes and encouraged her kids to do firecracker paintings for the 4th of July! There are many ways to excavate the ice blocks. Laurel’s kiddos used water squirters! My son loves a hammer, ha! Another smart mom in the group had her boys take the ice blocks camping, and then when the parents needed a few minutes to clean up breakfast, she pulled them out of the cooler and handed the kids hammers! This is one of my kids favorite things to do outside, and lately Maxwell likes to get in on the design part. In the picture below, he added the rock pile to “donkey kick” over! Best part? All you need is chalk! 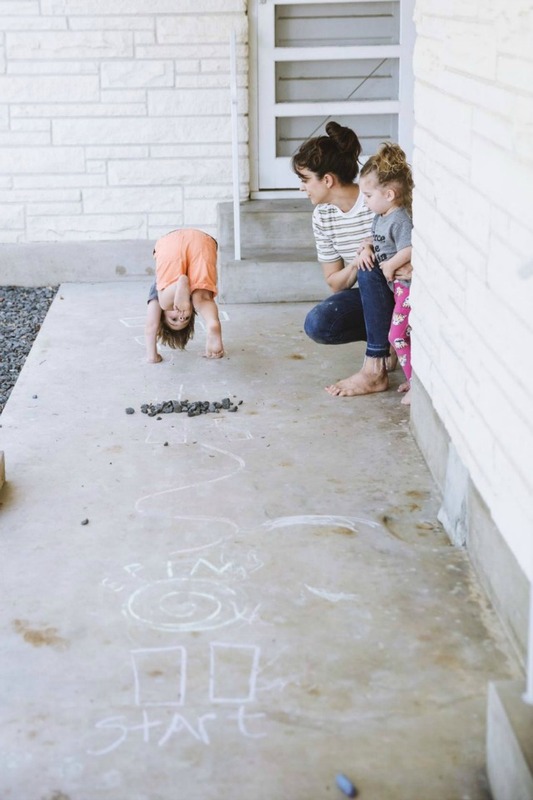 I love that Tori didn’t think her kids would like the chalk obstacle course, but then her kids asked to make a bigger one the next day! Yay for getting kids moving and being creative! Thank you for sharing, Tori! This craft is one of my favorites because it is low mess painting. 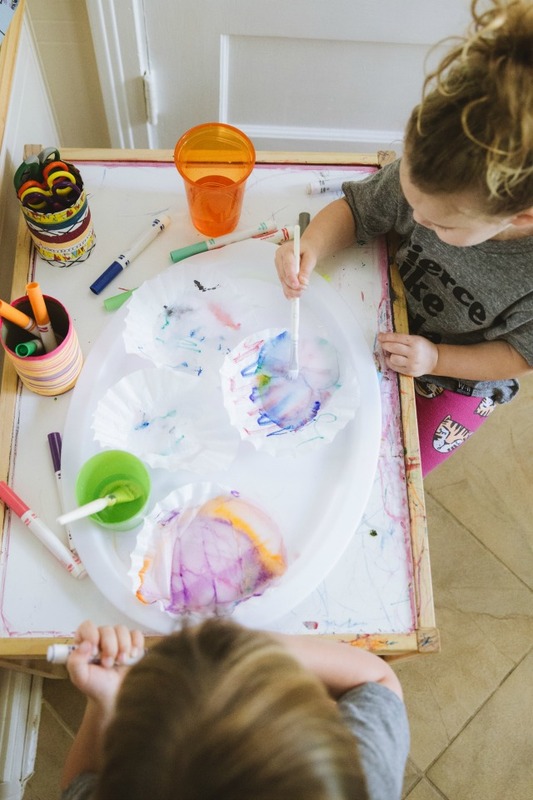 They’re just painting with water and markers on coffee filters! 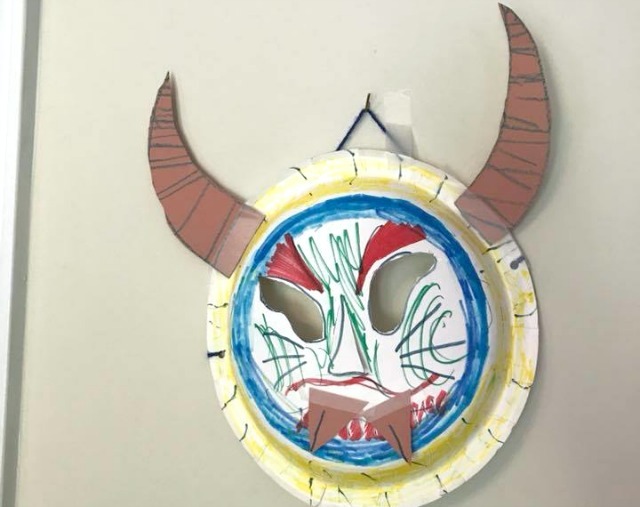 There are 70+ paper plate crafts on the list above, but I love that Erin’s son decided to make his own thing. His tribal mask turned out so awesome I added it to the master list! Rock painting is about as easy as it gets in craft world, but kids always love it! Hunt for a few rocks and then, add paint. You can also use permanent markers for even less mess. 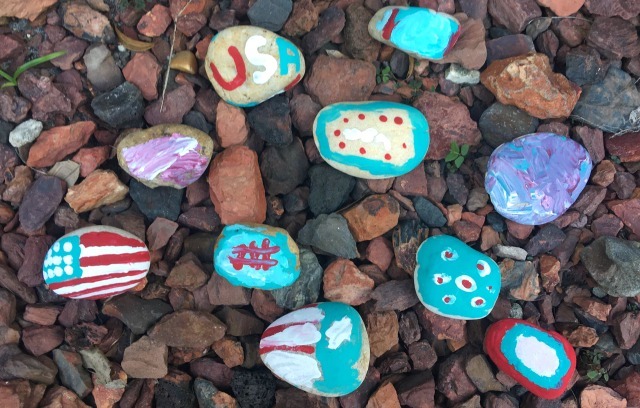 Victoria’s kids made these awesome patriotic rocks! Crafting with food is always a good idea! 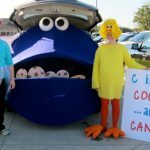 Kids can make monster pancakes or even monster toast with whatever they can find in the refrigerator or pantry. The one rule: You have to eat it! Fruit volcanoes with baking soda and vinegar were a big hit in the group! 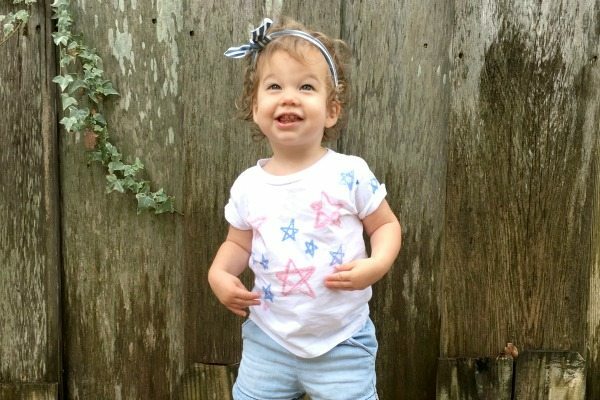 There were a ton of adorable videos posted. 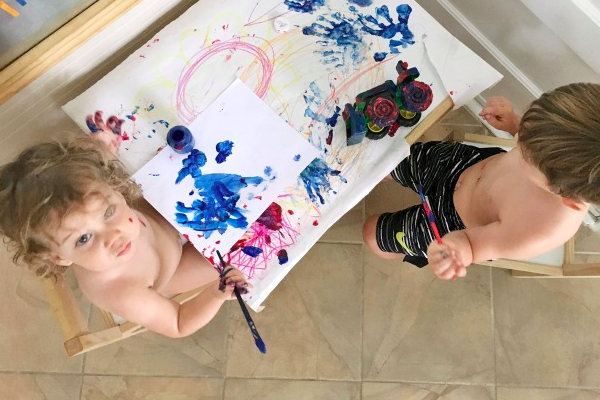 I love the fun squirters Victoria’s kids are using in the picture below! All you need for magic watercolors is a white crayon and a water color set. 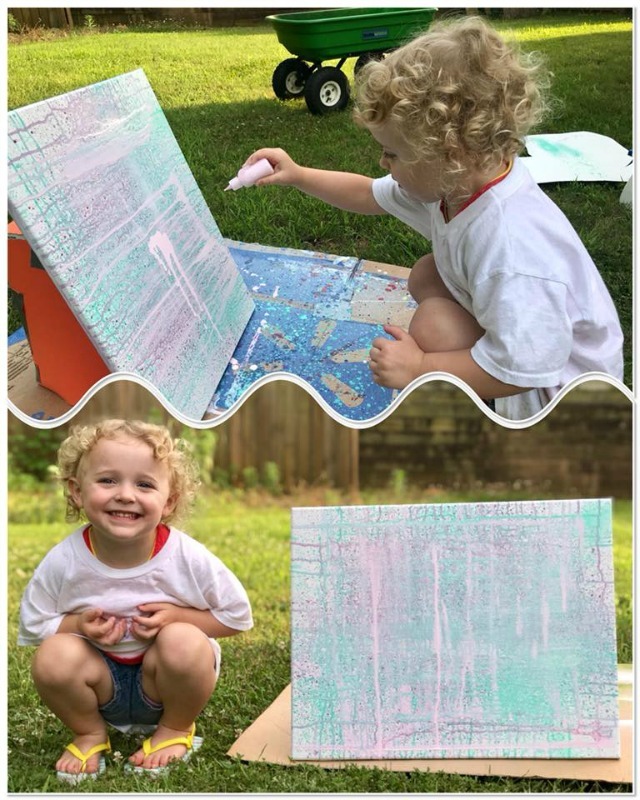 Draw letters, doodles, or secret messages with the white crayon and paint watercolor on top to make the messages appear! The thicker your draw the lines with the crayon the better. 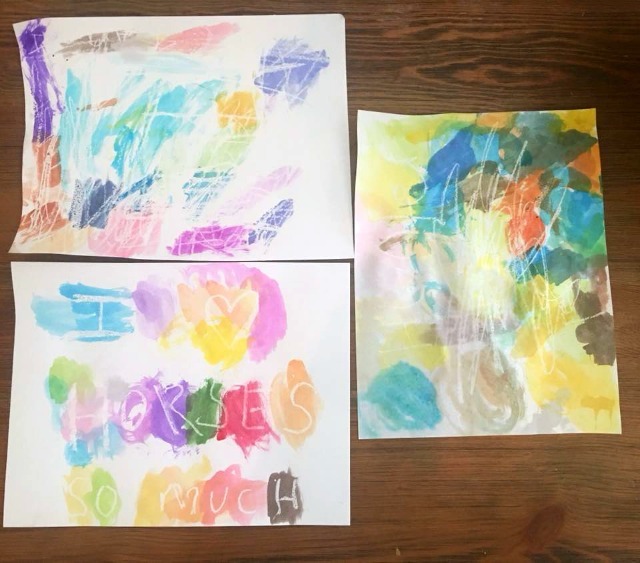 Victoria’s kids made these masterpieces, and I love the idea of writing a secret message and then having a friend use watercolors to reveal the message. Kids are smart! Kids always love wearing their art, or at least mine do! These DIY t-shirts provide a unique process that amazes kids and adults. 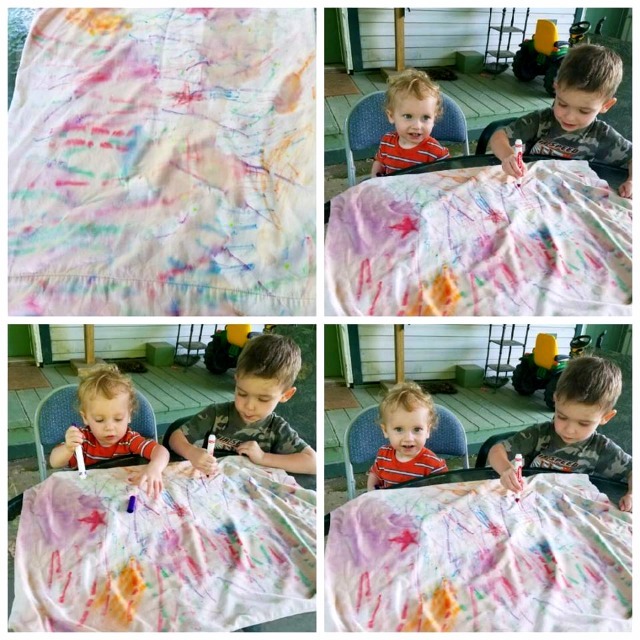 Color with crayons on sandpaper and then use an iron to transfer the design to a t-shirt… who knew? To get the free printable of the summer crafts checklist, just save this file to your computer and print. If you want to join the summer craft club fun and have a crafty email sent to you every morning for 2o days, sign up with your email below!